The 2018 Nissan Leaf is wowing the most enthusiastic electric vehicle advocates. Nissan brought its 2018 Leaf all-electric car from San Diego to Cambridge, Mass., last September to show it off, and EV fanatics are eagerly awaiting their chance to test drive this technology-packed car later this year. 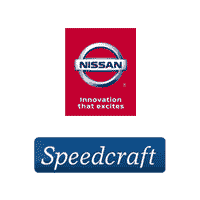 Contact Speedcraft Nissan in West Warwick to learn more. Unlike hybrid vehicles, which use gasoline and a battery and motor, the 2018 Nissan Leaf is powered only by electricity, using energy stored in rechargeable batteries. The 2018 Nissan Leaf is equipped with Nissan Intelligent Mobility features, including ProPILOT Assist™, which is designed to make stop-and-go driving less of a hassle. Imagine your commute involves heavy highway traffic. The 2018 Nissan Leaf ProPILOT Assist technology can add confidence while lessening fatigue during the drive. Here’s how it works: ProPILOT Assist uses a forward-facing camera, forward-facing radar, sensors and electronic controls to help the driver stay in the center of the lane and maintain a speed set by the driver. It can also maintain space between the LEAF and the car ahead if the speed drops below the driver-set speed. It also can slow the vehicle to a stop during traffic jams. “Drivers who have experienced ProPILOT Assist always remark about the difference it makes, not realizing how many acceleration, steering and braking inputs they make under normal driving – and how much more enjoyable it is to have ProPILOT Assist help take care of it for them,” said Takeshi Yamaguchi, senior vice president, Research and Development, Nissan Technical Center North America. The driver is in charge at all times. The driver can override the system by turning the wheel, activating the signal lights, pressing the accelerator or applying the brakes. The world’s first one-pedal operation that allows drivers to bring the car to a complete stop, even on hills, is called e-Pedal technology. Drivers can speed up, slow down and brake with just the accelerator pedal. Easing off the e-Pedal slows the speed, releasing it brings the Leaf to a stop and pressing it increases speed. Nissan says 90% of driving needs are covered with the e-Pedal. Today the Nissan Leaf is the world’s best-selling electric vehicle, with more than 277,000 sold worldwide.